Your online marketplace needs attractions to build up enough customer interest and convince them to buy products from you. There are different types of strategies to generate curiosity among your customers. Offering coupons and discounts might seem too simple, but still it is one of the most effective strategies out there. When you are shopping online, the market is competitive and your intuition always tells you to go for the most affordable one. When a customer searches for a product, he will find a lot of similar products on the web. Even the same product can come in different prices, packages and incentives. This is your scope to stand out from the rest of the sellers and make the customers choose you over others. You may think that by giving away discounts, coupons or free products you are losing a share of your profit. But you are not. In today's article, we shall discuss the benefits of coupons in case of online stores and how they can increase sales. Every successful businessman has a specific and attainable sales goal. You may also have such goals, which can be achieved with the aid of implementing strategies involving discounts. You can provide different types of discounts using coupons. For example, you can offer clearance coupon several times a year. This types of coupons give a solid and flat discount on products or product types. Besides that, you can offer weekly and even monthly discounts. Providing your customers quarterly or end of month discounts can effectively boost your sales. By this way, you can easily fulfill your monthly targets and sales goals. You could research your target market and define the demographics. This might sound like a lot of work, but the results are rewarding. It will help you to identify different insights about your customers. You should also target the holidays and seasonal special events. You can promote your store and increase brand recognition by providing season and holiday coupons. The big yearly events are Christmas, New Year and Black Friday. You should mark your calendar and publish coupons on these events. Your coupons must provide your customers a percentage or flat discount so that interest can be build up easily. Besides the big events, there are many other holidays all around the year. You can plan your coupons and stretch up your revenue with discounts and proper coupon management. By this way, you will be able to attract new customers and keep the returning ones effectively. Customer loyalty program is a great way to increase your sales. You must provide special discounts and coupons to reward your customers, who have been with your for a long time. It will also create a strong bond between you and your customers. Loyal customers have already spend money to buy products from you. You can provide them special coupons by sending emails or newsletters. This is an excellent way to make your customers happy with your offerings. There are many customers who abandon carts from your online store every day. You can prepare a coupon that will give these types of customers a flat discount if they come back. This is a great way to bring back customers to your store. For example, You can give 10% discount to the customers who have abandoned their carts. Giving the first best expression can convince a person easily. You can provide coupons and discounts for the customers who are buying from you for the first time. For example, if a customer arrives at your online store and tries to buy a product, you can offer 5% discount. This will attract them greatly as they are getting discounts on their first buy. 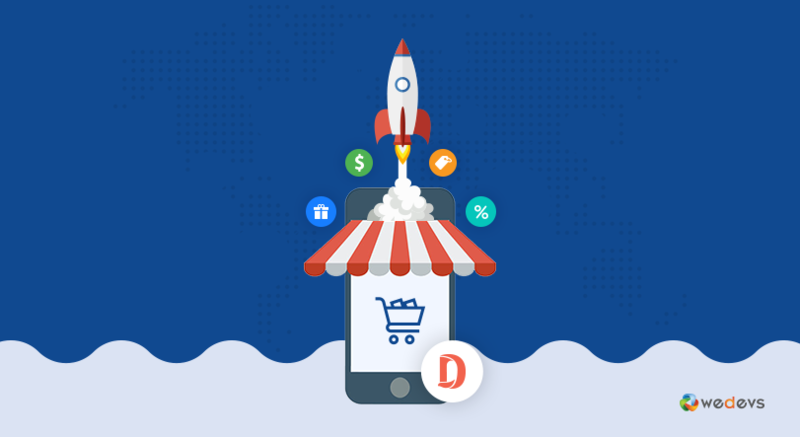 Dokan Multivendor Marketplace is the ultimate WordPress plugin that gives your the power to managing your marketplace easily. 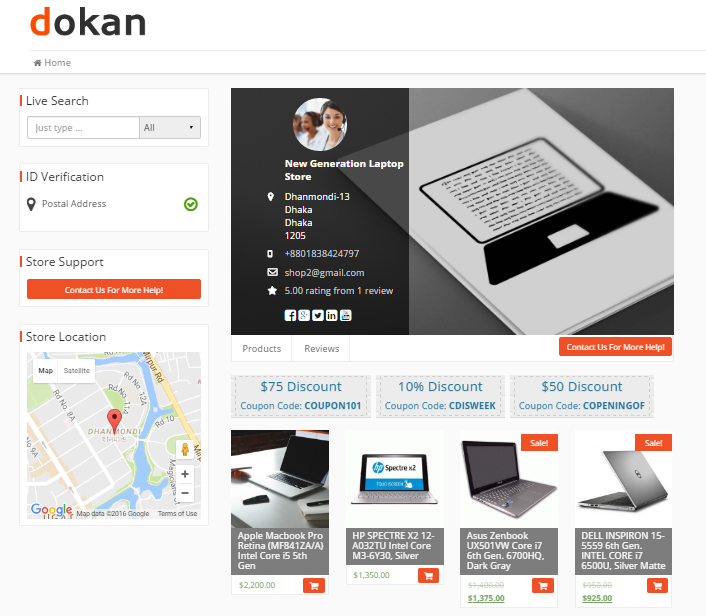 Dokan can create excellent online stores for your vendors and they can easily showcase their coupons on the storefront. 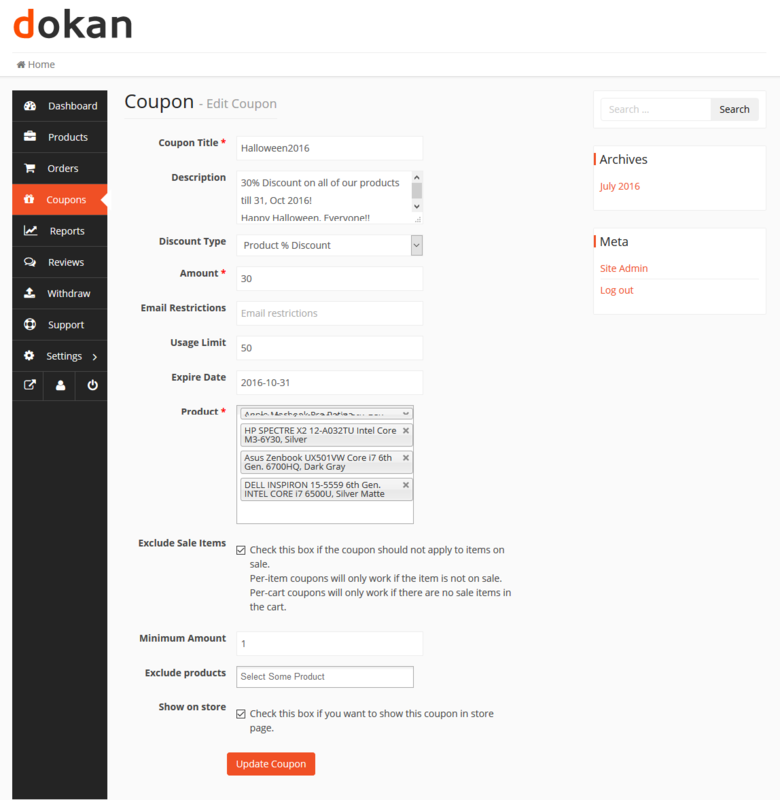 Besides that, Dokan has an outstanding coupon management system for your vendors. Always make your coupons hold a solid offer. You can either choose flat discount or percentage discount. Make sure your coupon names hold a meaning and avoid unprofessional words. In the description section, use appealing and commanding headlines. Be specific and describe everything properly. Always provide an expiry date and don't forget to mention the limit of your coupon. This will bring more attraction to your coupons. You can specify products which are applicable for the coupon and exclude other products. Make a good use of this feature. There is an option to set the minimum number of products required to get the coupon. You can use this feature if necessary. Always showcase your coupons on the storefront. For this check the show on store option when creating a coupon. You can make your store awesome with coupons and also increase your sales easily. Dokan gives you such opportunity. If you haven't tried Dokan yet, check out the free version and if it serves your purpose, don't hesitate to buy the Pro version. It will do wonders for your business and make it successful. 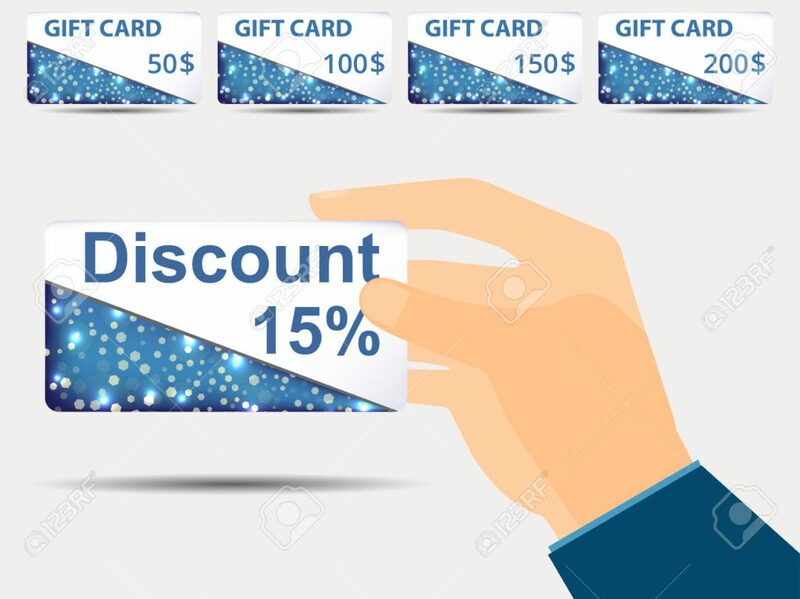 I agree with you that coupons and discounts rapidly boost store sales, because everyone want to save money so nobody wants to miss a chance when their famous brand offer them a discount. I have recently got discount offer from Site Wide Coupon. They provide discount on all of my favorite brand.